Plant life is believed to have begun from aquatic origins. As any biology textbook would show, the oldest lineages of land plants (i.e. 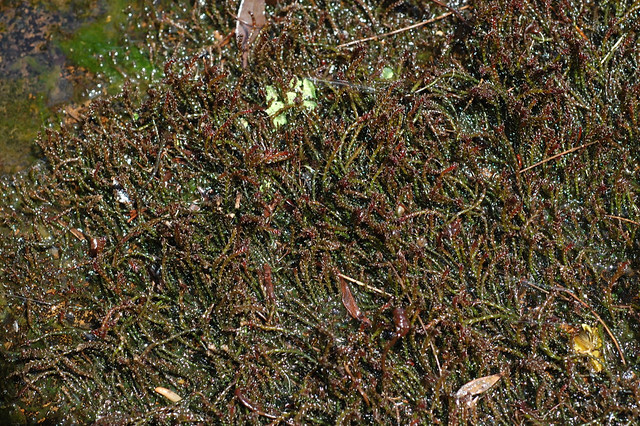 bryophytes – liverworts, hornworts and mosses) are highly dependent on water for sexual reproduction, and are therefore often found close to permanent freshwater sources or moist conditions. When flowering plants came onto the scene, they also radiated into freshwater habitats, and they found a myriad of exciting ways to live in water. 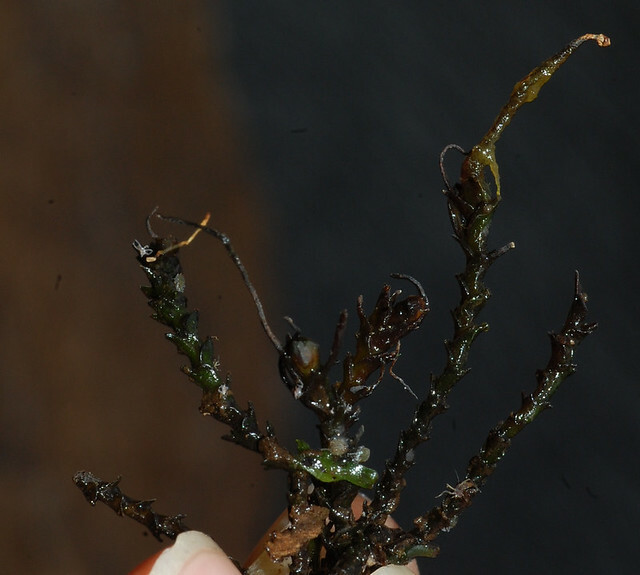 For one family of aquatic flowering plants, the Podostemaceae, the return to life in the water came with a “reverse innovation” – it seems to have “relearnt” how to be a liverwort. One very prominent member of the family in tropical Queensland is Cladopus queenslandicus. This aquatic flowering herb has very interesting plant form. 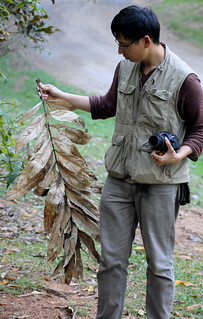 The stems have very basic fleshy leaf-like structures which are ridged on the back. These fleshy structures resemble those of liverworts that have are in a transitional stage between being thalloid and leafy (See illustrations online). 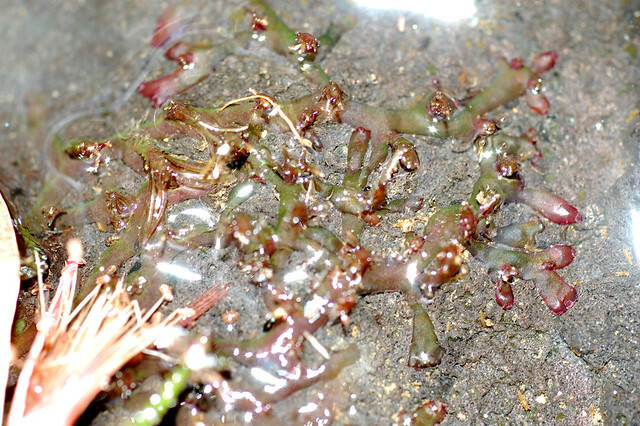 The stems of Cladopus queenslandicus showing liverwort-like overlapping fleshy leaves. body plan of most Podostemaceae, reflecting a remarkable adaptation to a unique aquatic environment, i.e., the border between rock surfaces and fast-running water (Koi et al. 2006). The flattened thalloid roots of Cladopus clasping onto rock substrates. Fascinatingly, the closest relatives of the Podostemaceae are from the mangosteen family – an excellent example of how evolutionarily plastic plant form can be. 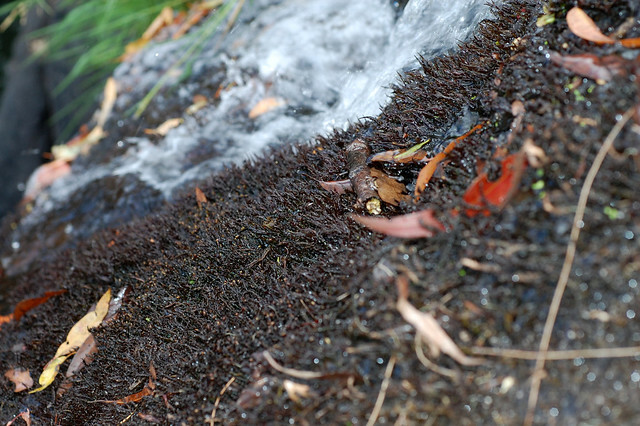 C. queenslandicus is found in fast-flowing water or torrents near waterfalls around the Ravenshoe region (i.e. Little Millstream Falls), and also in some localities in Malaysia and PNG. It was previously and much more descriptively named Torrenticola queenslandica by karl Domin. Koi S, Fujinami R, Kubo N, Tsukamoto I, Inagawa R, Imaichi R, Kato M. 2006. Comparative anatomy of root meristem and root cap in some species of Podostemaceae and the evolution of root dorsiventrality. American Journal of Botany, 93, 682-692. This entry was posted in Habitat - Wetlands, Lifeform - Herbs, Podostemaceae (Riverweed family) and tagged aquatic herb, Cladopus queenslandicus, Podostemaceae, thalloid, thallus, Torrenticola queenslandica. Bookmark the permalink.